Paul Gauguin (1848–1903), Arlésiennes (Mistral) (1888), oil on jute, 73 x 92 cm, The Art Institute of Chicago, Chicago, IL. Wikimedia Commons. Rumours still abound as to the cause of Napoleon’s death almost two centuries ago. One theory – not currently in favour – is that he was poisoned by arsenic in the wallpaper. At the time, that would have been unusual, but by the 1860s, such deaths were significant enough to be reported in newspapers. Their ultimate cause was also one of the factors behind the success of Impressionist landscape painting: Emerald Green. 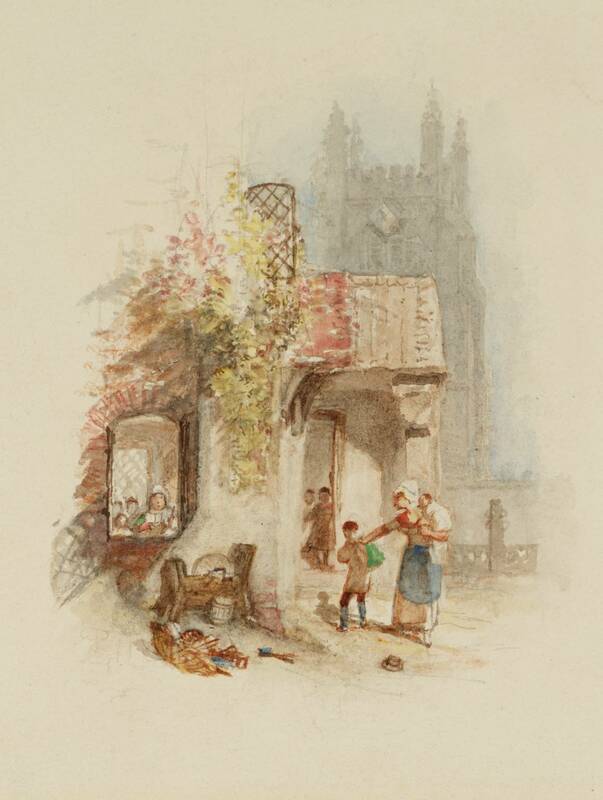 Getting a good range of green pigments was vital for landscape painting, and more generally for coloured commercial products such as wallpaper and clothing. The first of the ‘poison greens’ to be discovered was that named after Carl Wilhelm Scheele, the Swedish chemist who made it in 1775: copper arsenite, a highly toxic salt of arsenic. Soon after its introduction from about 1780, it became clear that it tended to darken with age, and the search began for a replacement. Little attention has been paid to the use of Scheele’s Green, and it is not clear how widely it was used, or even when it was first used in painting. 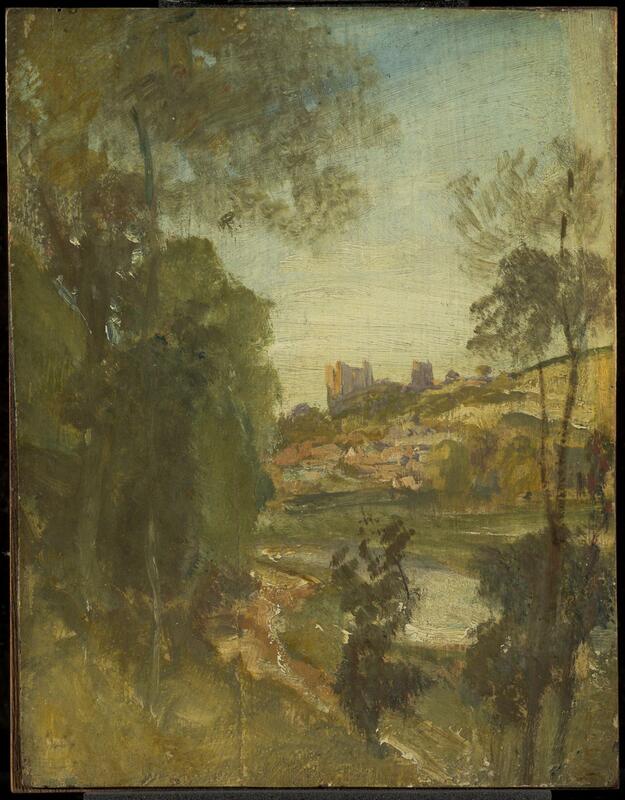 JMW Turner’s early oil sketch of Guildford from the Banks of the Wey, painted in about 1805, has been found to contain Scheele’s Green. Given its range of greens, that could be quite extensive. Wilhelm Sattler, a paint manufacturer in Schweinfurt, Germany, worked with Friedrich Russ to discover an even better arsenic compound for use as a colourant, and from 1814 Sattler’s company manufactured Schweinfurt or Emerald Green, the equally toxic copper acetoarsenite. Its alluringly brilliant green colour appears very stable, with only slight darkening resulting from reaction with hydrogen sulphide, which has been a common atmospheric pollutant. By about 1830-32, when Turner painted Going to School, as an illustration for Rogers’s Poems, he had switched to using Emerald Green. That is obvious from its characteristic colour standing out from the small bag on the boy’s back. 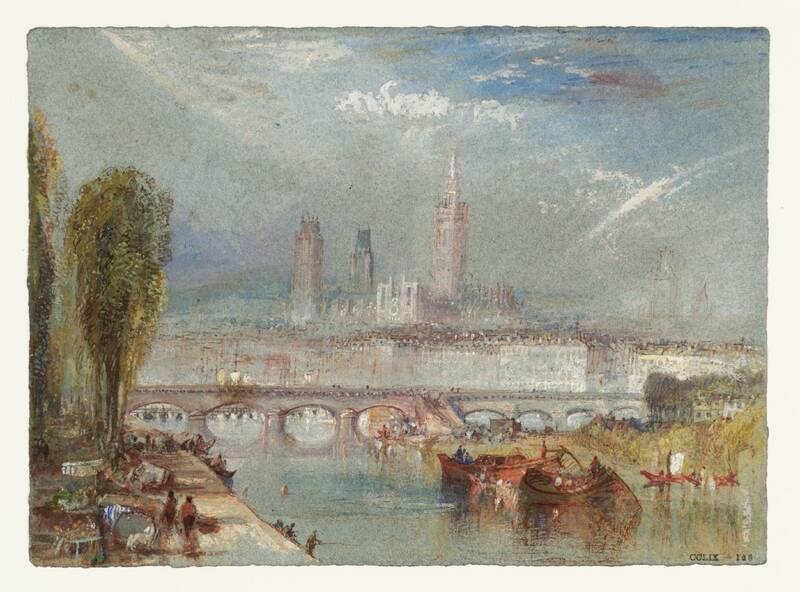 Turner used Emerald Green again in this watercolour painting of Rouen, Looking Downstream from about 1832, here in combination with other pigments, so less brashly. Concerns over the established toxicity of these two greens were raised by 1839, when warnings were first issued in Bavaria. Despite those, the use of Emerald Green became more widespread, and it was even ‘fixed’ to ball gowns using albumen or dextrin, which allowed its poisonous dust to brush free from the garment when dancing. It became particularly popular, and insidiously toxic, in coloured wallpapers. When applied on damp walls (as were common at the time), fungal products could produce trimethyl arsine gas, which is thought to have been responsible for many of the symptoms and deaths which were reported. 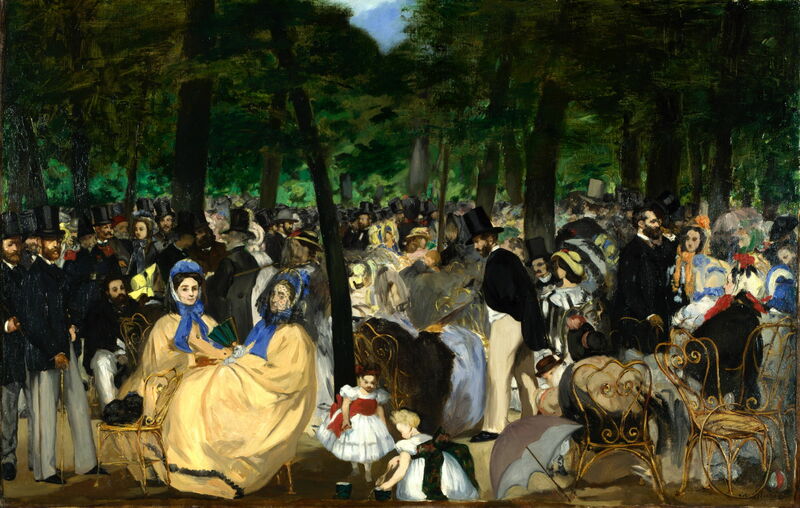 Édouard Manet’s Music in the Tuileries (1862) is an unusual example of a painting which contains both Scheele’s and Emerald Greens. Manet used them in combination in two different glazes which he applied to the areas of foliage. In one transparent glaze, they are mixed with yellow lake, small amounts of ivory black, and yellow ochre; the other more opaque glaze consists of the two greens, with yellow ochre and white. The last recorded use of Scheele’s Green was by Edwin Landseer in 1866. Frédéric Bazille (1841–1870), Self-Portrait with Palette (1865), oil on canvas, 108.9 x 71.1 cm, The Art Institute of Chicago, Chicago, IL. Wikimedia Commons. The Impressionists relied heavily on Emerald Green for its brilliance and intensity of colour. 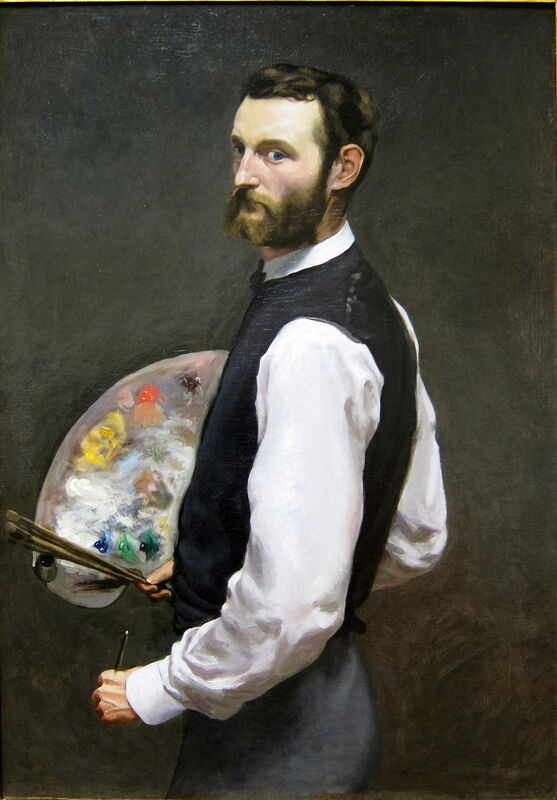 Frédéric Bazille’s Self-Portrait with Palette (1865) shows some Emerald Green on his palette, squeezed out and ready to paint vegetation such as sunlit grass. 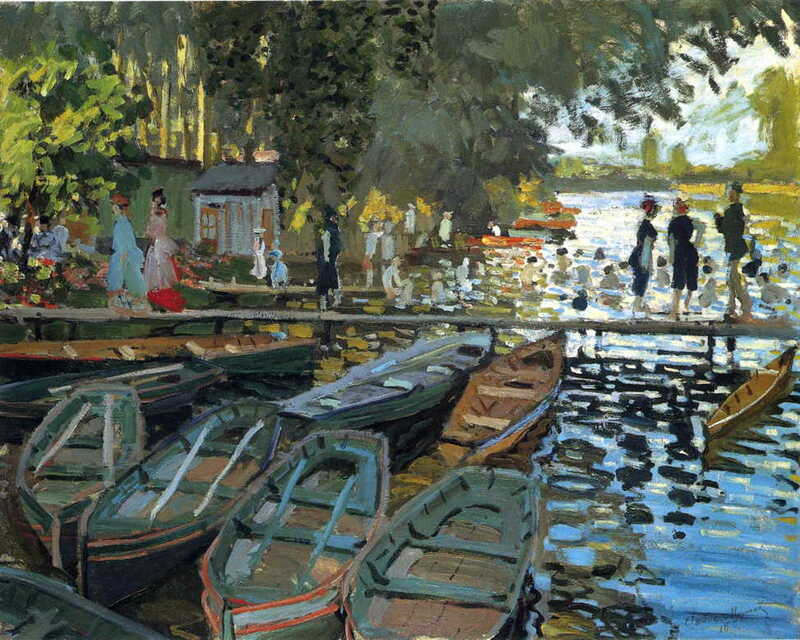 Claude Monet used Emerald Green among other green pigments and mixtures in his famous Bathers at la Grenouillère, painted in 1869. It has also been found widely in the landscapes of Cézanne, Gauguin, Pissarro and Vincent van Gogh. By the late nineteenth century, concern over the consequences of using Emerald Green in household products had risen to the point where the pigment was banned in a succession of countries. 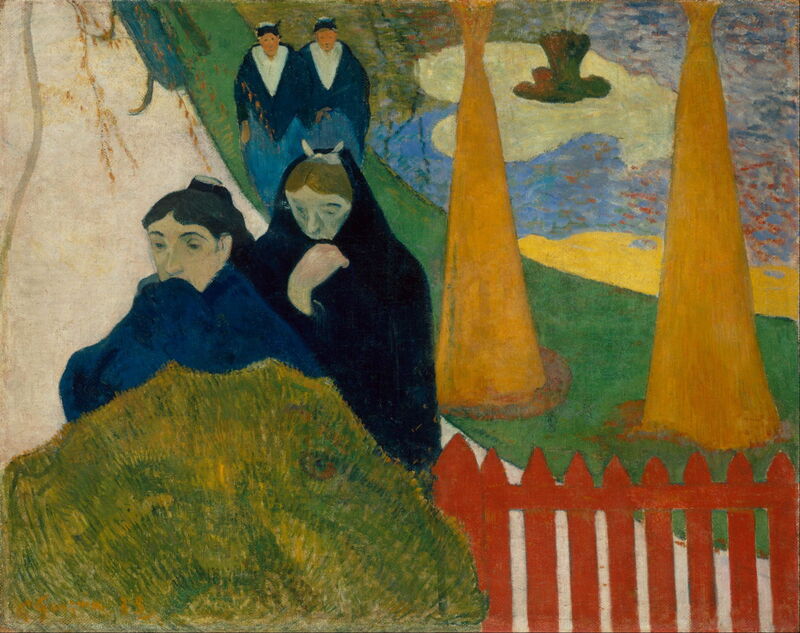 Paul Gauguin’s Arlésiennes (Mistral) (Old Women at Arles) (1888) uses Emerald Green for the band of bright green grass which sweeps up across the painting from the right. It is also mixed for the skin and hair of some of the figures, and in the foliage more generally. Odilon Redon (1840–1916), Sîta (c 1893), pastel, with touches of black Conté crayon, over various charcoals, on cream wove paper altered to a golden tone, 53.6 × 37.7 cm, The Art Institute of Chicago, Chicago, IL. Image by Rlbberlin, via Wikimedia Commons. 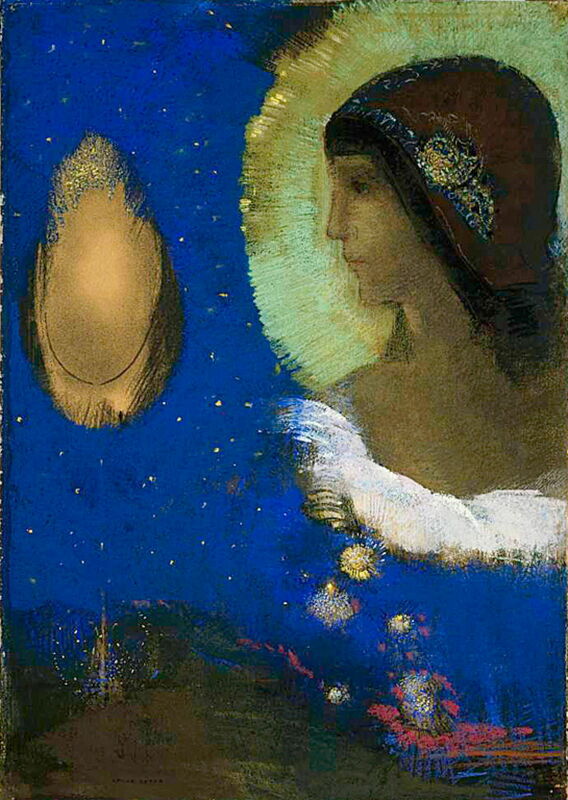 Odilon Redon’s pastel painting of Sîta from about 1893 uses Emerald Green, Chrome Yellow and chalk in the prominent yellow-green halo surround the woman’s head. Working with soft pastels containing this pigment was particularly hazardous, because of the likelihood of inhaling their dust. At least today we have effective respiratory protection available. During the twentieth century, genuine Emerald Green was withdrawn from use as a pigment, although it wasn’t completely discontinued until the 1960s. Since then, paints sold as being Emerald Green have contained alternatives which are far less toxic than the original pigment. 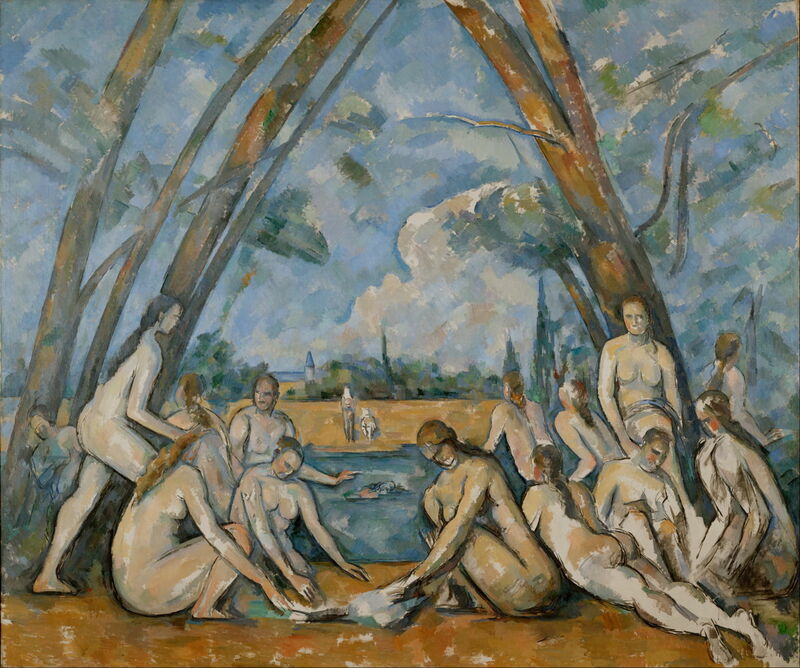 Paul Cézanne (1839-1906), The Large Bathers (1906), oil on canvas, 210.7 x 251 cm, The Philadelphia Museum of Art, Philadelphia, PA. Wikimedia Commons. Emerald Green has been found in mixtures used by Paul Cézanne in the patches of vegetation in his huge The Large Bathers (1906). Alongside Lead White, Vermilion and Ultramarine Blue, this pigment appears to have been among the most frequently used by Cézanne. Childe Hassam (1859-1935), White Mountains from Poland Springs (1917), watercolour over black chalk on cream wove paper, 25.4 x 35.4 cm, Harvard Art Museums/Fogg Museum (Gift of Grenville L. Winthrop, Class of 1886), Cambridge, MA. Courtesy of Harvard Art Museums/Fogg Museum. 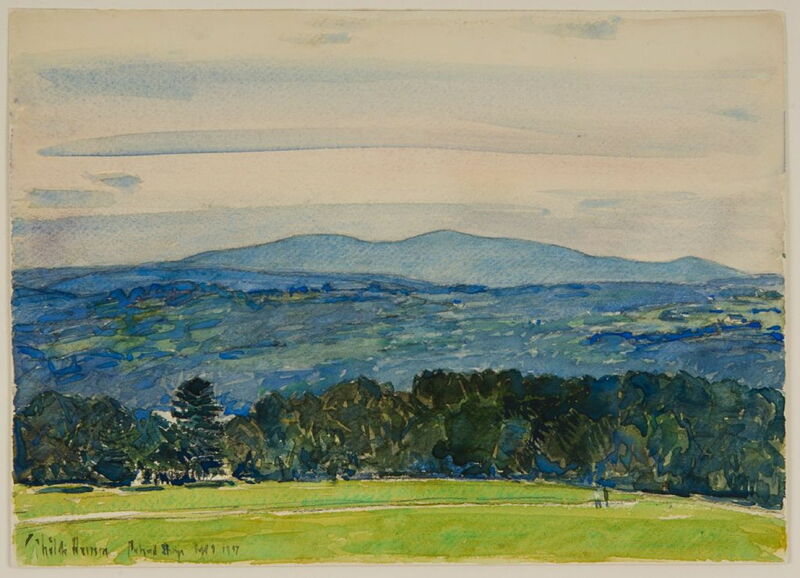 Childe Hassam’s watercolour of White Mountains from Poland Springs from 1917 is one of the last major paintings which appears to have relied on Emerald Green. Its use in the meadow in the foreground is perhaps the pigment’s last brash farewell. Inge Fiedler and Michael Bayard (1997) Artists’ Pigments, vol 3, ed Elisabeth West Fitzhugh, Archetype. ISBN 978 1 904982 76 0. Posted in General, Life, Painting, Technology and tagged artists paints, Bazille, Cézanne, Gauguin, Hassam, history of painting, Manet, Monet, painting, pigments, Redon, Turner. Bookmark the permalink. I have an antique watercolour box, with many Newman’s watercolour blocks. Date 1800 – 1900. One space is labelled with Emerald Green and it has the remains of a bright green paint block in it. The name has worn away. It also has a space labeled Vermilion, but I think the block in there is actually Light red or English red and is impressed with Reeves Elementary Colour with no name visible. I have done some small test patches on paper with each paint block and the Emerald Green seems very pasty and not really dissolving. Although I don’t know the age of each paint block I suspect they are 19th century and therefore the emerald green may be toxic…but do you know how toxic it would be? Thanks! Thank you. That sounds fascinating! The only way to find out for sure would be a chemical analysis of the block. You might find experts at a local art museum or collection interested in doing that, but otherwise it would be expensive. So long as the pigment remains dry in that block, and the box is kept out of the reach of children and pets, it shouldn’t pose any hazard, but keeping it dry is the most important step, and ensuring that the block doesn’t powder or flake into dust, which could be hazardous. Hi Howard, Thanks for your response. I think I will keep it for posterity but in a sealed plastic bag. It has made me think twice about using antique paint boxes! Interesting article too.